Meet the team of Drs. Hawks, Besler, Rogers and Stoppel. These experienced optometrists have served the Overland Park and Gardner areas since 1974. Dr. Hawks was born in El Dorado, KS. He received his optometry degree from the University of Houston College Of Optometry. 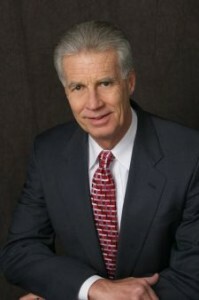 In 1974, he established practices of optometry in Overland Park and Gardner, Kansas. Dr. Hawks is a past President of both the Kansas Optometric Association and the Heart of America Contact Lens Society and is a Fellow of the American Academy of Optometry and a Diplomat of the American Board of Optometry. He is a member of the Vision Enhancement Council, as well as the American Optometric Association and its Contact Lens and Sports Vision Sections. 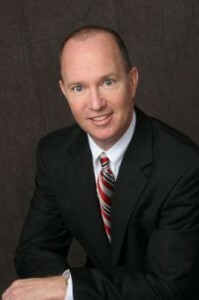 He is also a past member of the Kansas State Board of Examiners in Optometry. He has authored and lectured on practice management, contact lenses and refractive therapy, and was honored as the 1995 Kansas Optometrist of the Year and Legislative Key Person of the Year. Dr. Hawks and his wife, Teresa, have two children, Ryan and Lauren. A native of Topeka, Dr. Besler graduated from Kansas State University and completed his professional training at the University of Houston College of Optometry. He graduated in May 1986. Dr. Besler is a member of the Kansas Optometric Association and the Greater Kansas City Optometric Society. He is also a member of the American Optometric Association and its Contact Lens and Sports Vision Sections. Dr. Besler is a Fellow of the American Academy of Optometry and a past President and Director of the Heart of America Contact Lens Society. He was honored as the 1994 Kansas Young Optometrist of the Year. 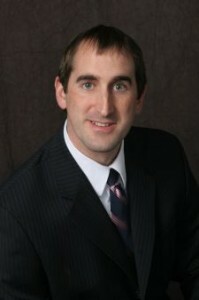 Dr. Besler’s special clinical interests include contact lenses, primary eye care, and pediatric vision. 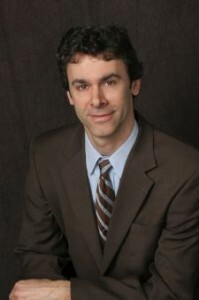 Dr. Besler and his wife, Diane, have three children, Matt, Mike, and Nick. A native of Topeka, Dr. Rogers graduated from Kansas State University with a bachelor’s degree in Mechanical Engineering. He also attended Northeastern State University where he graduated with a Doctor of Optometry degree in May 1995. Dr. Rogers was a President of the Kansas Optometric Association; and is a member of the Contact Lens Section of the American Optometric Association, and the Heart of America Contact Lens Society. He is also American Board of Optometry Certified. Dr. Rogers’ special clinical interests include primary eye care, contact lenses, pediatric vision, and ocular trauma and disease. Dr. Rogers and his wife, Susan, have three children. During his four years at optometry school, he was a member of the American Optometric Student Association and was elected trustee by his school. He was also a member of the American Academy of Optometry of which he was appointed AAO/AOSA National Liaison. In addition, Dr. Stoppel is an active member of the Kansas Optometric Association where he was a recent graduate of their Leadership KOA program. Dr. Stoppel, his wife Alaina and two girls, Maddie and Gabbie, reside in Olathe Kansas and enjoy being involved in community activities such as Rotary and his church.